QWED participated in the exhibition at the 16th International Conference on Microwave and High Frequency Heating in Delft, The Netherlands. 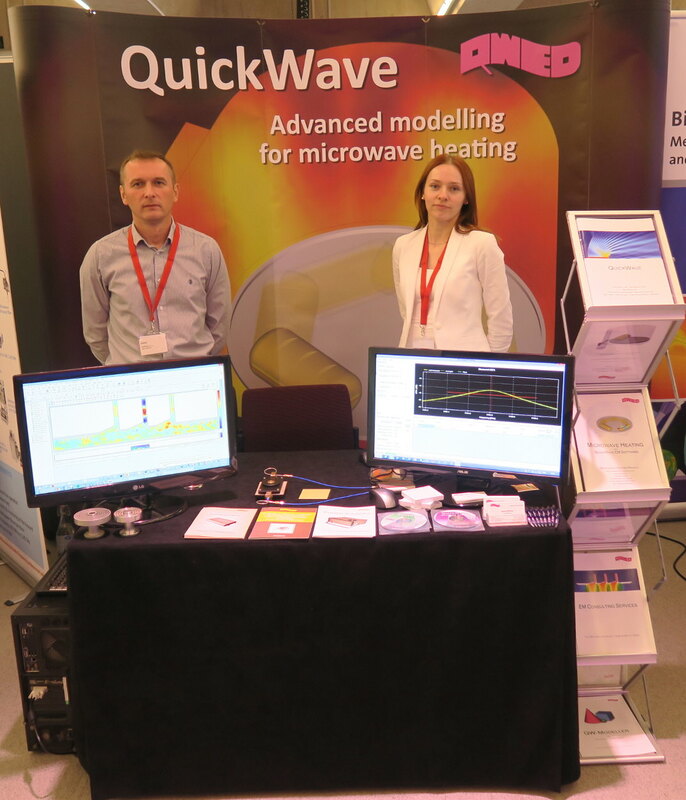 QuickWave software, including microwave heating calculation module, QW-Modeller, QW-AddIn for Autodesk® Inventor® Software, and GPU computing were presented. 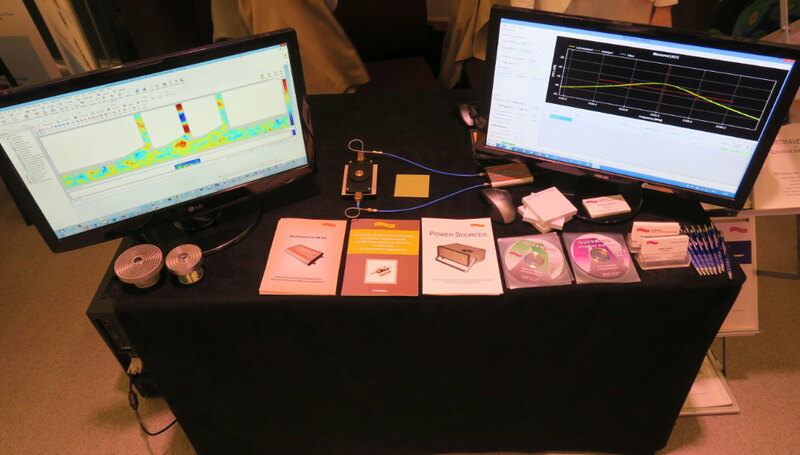 Microwave Q-Meter, an inexpensive computer controlled microwave oscillator system that enables quick and automatic measurements of complex permittivity with a dedicated split post dielectric resonator (SPDR) or single post dielectric resonator (SiPDR) was also presented. Our team would like to thank you for your visit at our exhibition booth and our fruitful discussions regarding electromagnetic modelling. Janusz Rudnicki (Vice President of QWED) and Dr. Marzena Olszewska-Placha (Senior Engineer) present QWED's products at the QWED's exhibition booth.